This is what I'm wearing this week. It's the last of the three holographic nail polishes from Teeez that I have. 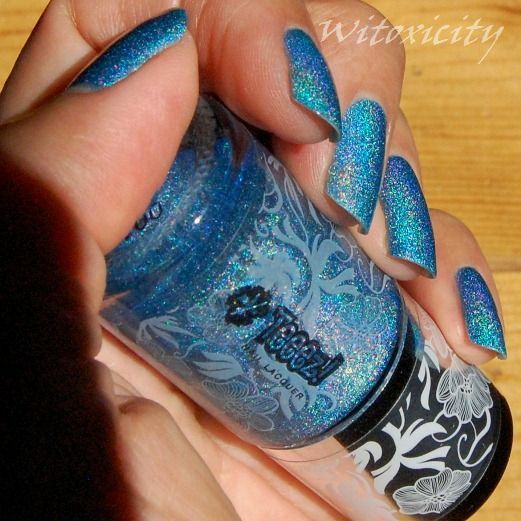 In normal lighting, Teeez Cool is a cornflower-ish blue, simple but busy-looking. Of course, Cool comes to life only in direct sunlight, taking on a greenish tinge and becoming an aqua or iceberg blue. I've got two coats on, applied over GOSH's Fix Base Coat which seems to help to prevent bald spots. I'll keep this short and leave you to enjoy the customary holo nail polish photos. Do you find Gosh Fix intensifies the holo effect at all? OMG!! I fell in love this polish. Aah! This one is so pretty!!! *o*\! 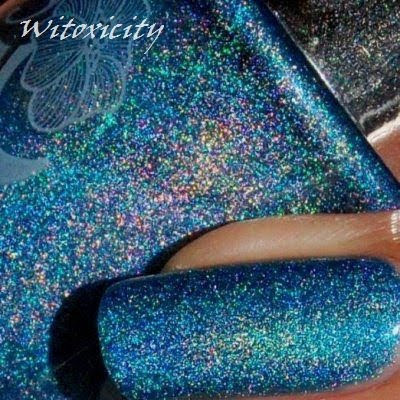 I really wonder how they make holo polishes :x.
I wonder too. These nail polish companies really should consider taking us nail polish fanatics on an educational tour of their product development departments (or simply their factory). :D It's probably got something to do with micro-mirrors / -prisms suspended in the nail polish. AWESOME!! 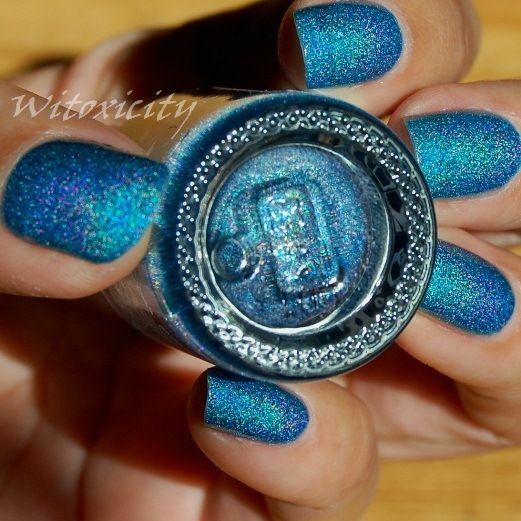 I love this holo...no words required, look at the pics they speak for themselves. Lol I bet it's made out of angel tears, fairy dust and unicorn horn shavings 8D. Heel mooi! Mooie foto's ook. Ik heb ook alledrie de holo's van Teeez en ik vind ze waanzinnig cool. Bedankt! Ja, ik ben het helemaal met je eens. Die drie Teeez holo nagellakken zijn inderdaad waanzinnig vet, maar naar mijn mening is die paarse het mooiste. Bijna oogverblindend! Haha! wow!! this is such a beautiful color! Hello! Please can you say yourself or we can buy varnishs teez cool. Hello Audrey! 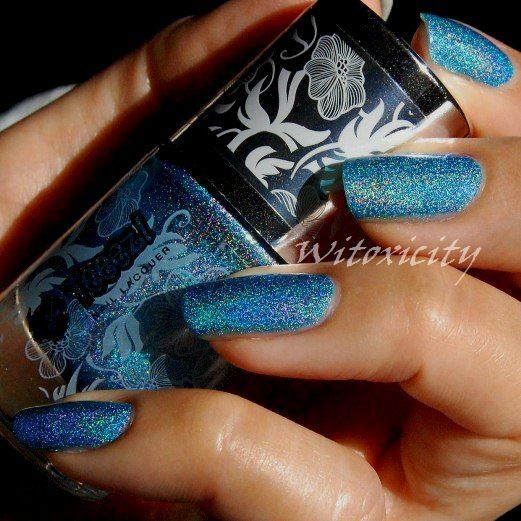 This polish used to be available in some stores here but the thing is, it's been a while. I haven't seen this polish for sale for many months, I'm afraid.